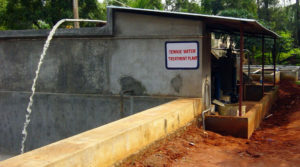 Sanitation has always been a top priority ever since Dr.NDJ started the hospital and visitors to the hospital often comment about being struck at first by the general cleanliness of the place. Most of this has been accomplished through the sincere efforts of our level 4 staff. In recent times Environmental awareness has also been an important feature of the NDJH policies and we have several innovative systems in place towards this. Effective segregation is the first step towards safe handling of waste and towards this end we have a system in place to ‘re-sort’ after collection. 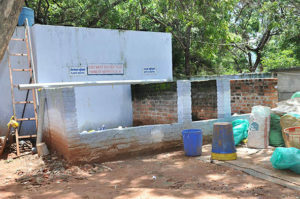 This is basically a precautionary measure taking into account the fact that patients and their relatives do not always follow the rules of segregation put up in the hospital while disposing of their waste. The properly segregated waste is then disposed of as per defined rules governing their handling and equipment used to aid the process includes an incinerator and shredder. 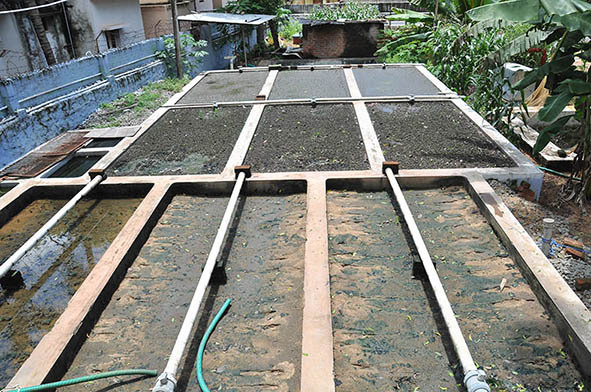 One of our newer projects is a sewage treatment plant that converts sewage into water safe for non-consumptive purposes including watering of the gardens etc. thus significantly reducing our strain on already depleted ground water in the district. We have had a rainwater harvestation system in pla ce long before it was announced as a compulsory measure by the government of Tamil Nadu. Steam Cooking: The hospital has a steam-cooking unit installed in the mess to reduce the consumption of firewood. The reduction in smoke levels also is important in terms of the health of the kitchen workers with recent estimates of the equivalent of 20 cigarettes in one session with firewood smoke! 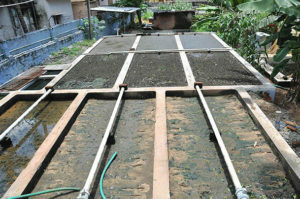 BioGas: We also have a biogas unit to harvest energy from waste food and other organic sources.